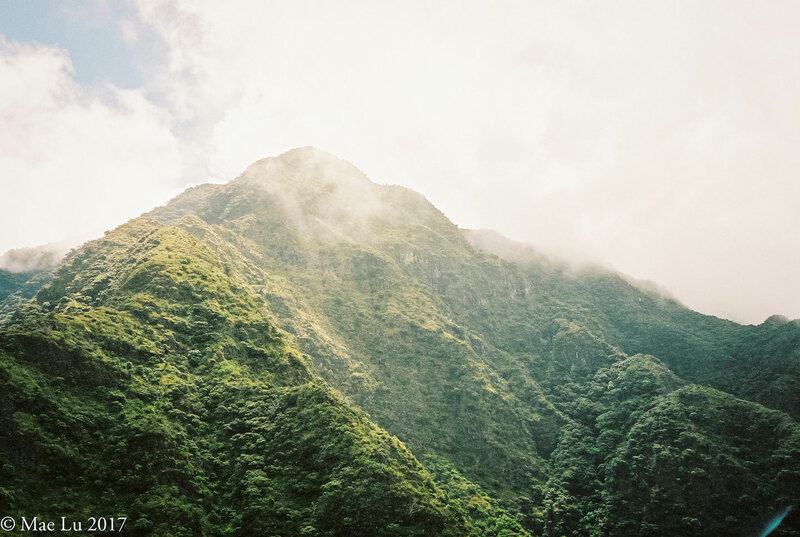 hiking hawaii Archives » thereafterish. 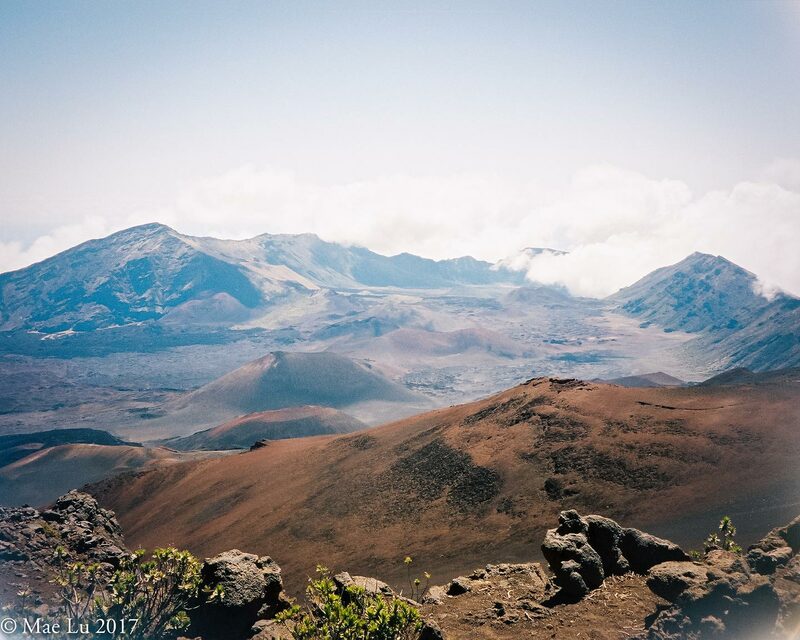 hiking hawaii Archives » thereafterish. Life lessons from a succulent growing above the clouds? Spending time in a Hawaiian volcano crater at 8,000ft gives you an education in life you can’t otherwise stumble upon. The flora and fauna here are extremely rare; in many instances, species here don’t exist anywhere else. Argyroxiphium sandwicense subsp. 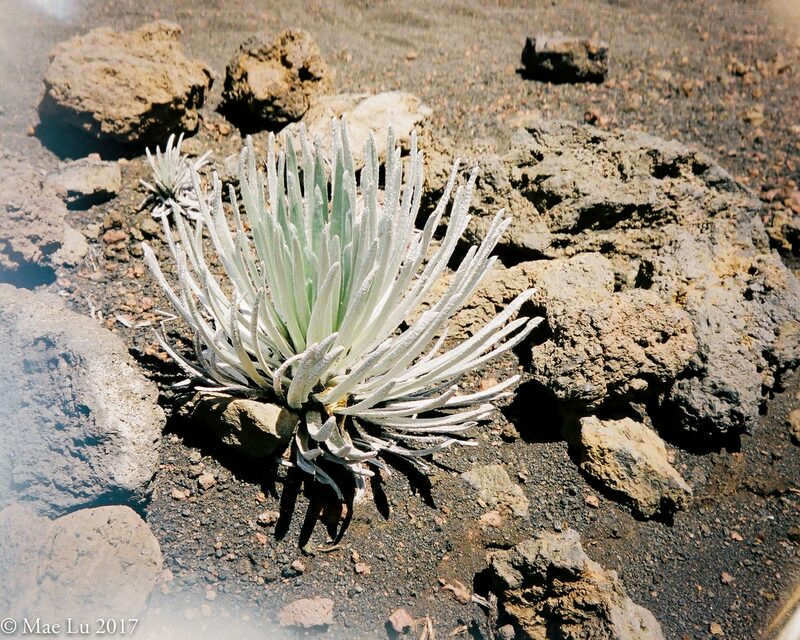 macrocephalum AKA ‘āhinahina or Haleakala Silversword exists only on the slopes of Haleakala on East Maui. 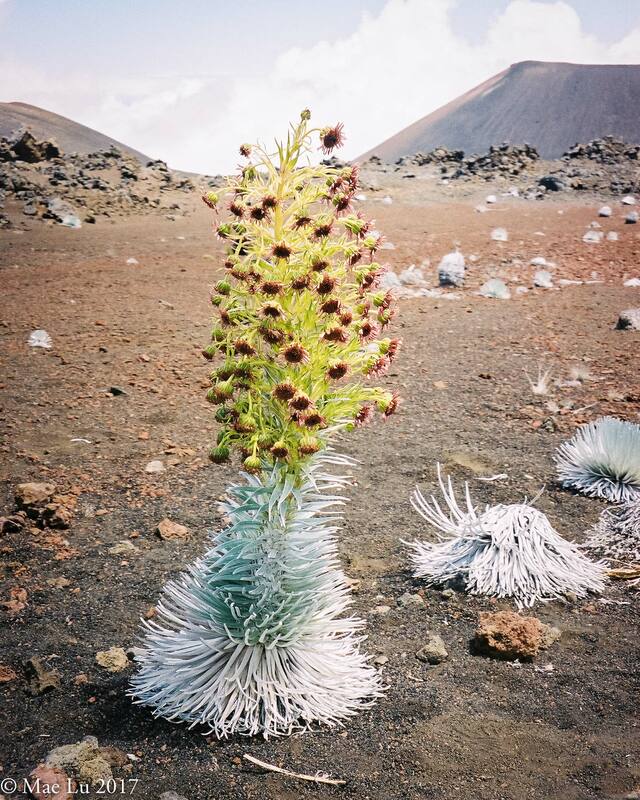 (Another silversword species lives on the slopes of Mauna Kea on Hawaii Island.) This large succulent only grows at 6,900 ft or higher in volcanic cinder in a dry climate. Over time the plants adapted to become hardy, as they need to survive high winds, freezing temps, heat and increased sun radiation at high elevations. It gets its name from the silvery hairs that cover the “leaves”. These hairs help focus sunlight onto the plant to warm it. A large stalk grows from the plant base that can reach up to 6.5’ tall. In the summer, the plants produce a maroon “ray” flower that resembles a small sunflower blossom. Once the plants go to seed, it dies. Up to 1990s plant habitats were destroyed by careless humans, or overgrazed by cattle to the point of near extinction. Trampling in the rocks around which silverswords grow can irreversibly damage or kill the plants’ extreme delicate, shallow root systems, so humans must take extreme caution when walking in their habitat. The species still faces threat. However, with the help of the US Fish and Wildlife Service and National Park Service’s efforts to preserve and protect these rare plants have assisted in their recovery from almost complete annihilation. Given its history and how it’s recovered from near complete extinction, and its hardy yet delicate composition… the Haleakala Silversword is a study in complexity and resilience. Can a human be resilient in an adverse and difficult climate? Can we be delicate and tender when people threaten to trample on us and destroy us? Can we adapt to a harsh life so that our souls find the sun and thrive? Can we still blossom vibrantly even with the knowledge that we only get one shot and after that, it’s certain death? Can we grow amongst cinder and dry rocks? I hope I can be like the silversword, a distinct and unusual plant that’s held a special place in my heart ever since I met my first one. 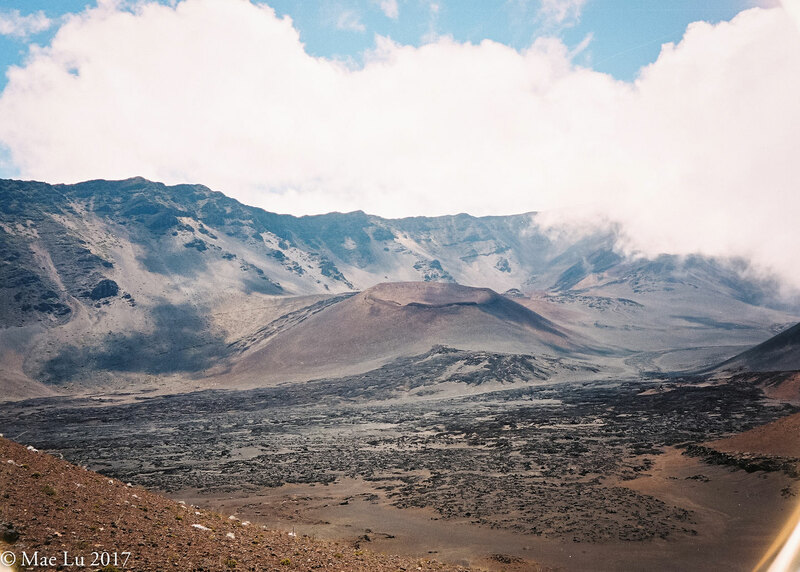 These photos were shot on an Olympus Stylus Epic on Kodak Portra 400 35mm film during our 4-day backpacking trip this April 2017 in Haleakala Crater, Maui island, Hawaii. I hope to document this trip soon via a GoPro vlog and a photo blog post.